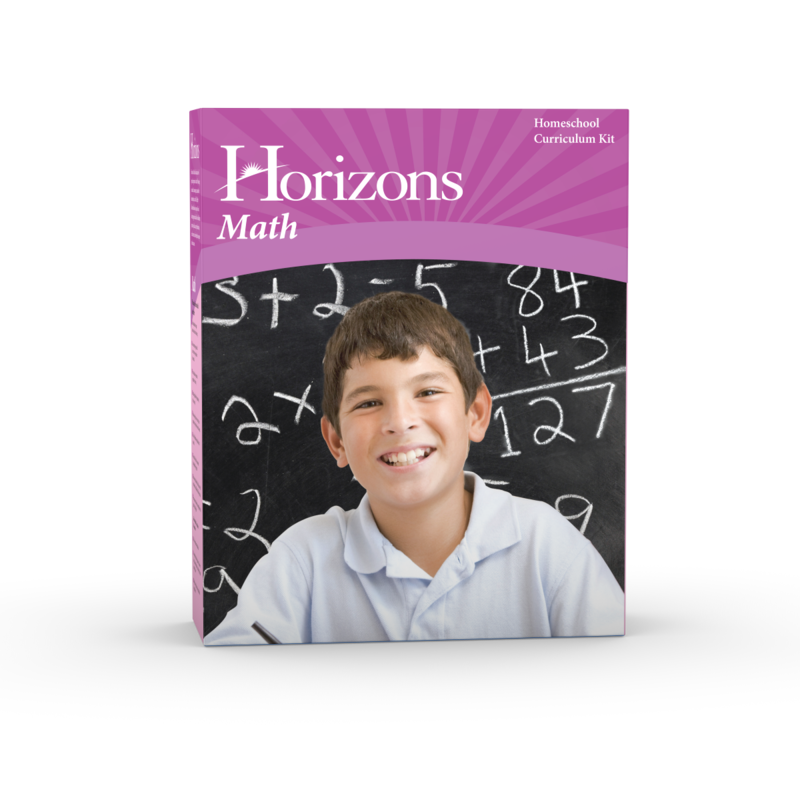 Prepare your middle school student for higher level math courses with the Horizons Pre-Algebra Set from Alpha Omega Publications! This year-long Horizons math course takes students from basic operations in whole numbers, decimals, fractions, percents, roots, and exponents and introduces them to math-building concepts in algebra, trigonometry, geometry, and exciting real-life applications. Divided into 160 lessons, this Alpha Omega curriculum comes complete with one consumable student book, a student tests and resources book, and an easy-to-use teacher's guide. Every block of ten lessons in this Horizons math course begins with a challenging set of problems that prepares students for standardized math testing and features personal interviews showing how individuals make use of math in their everyday lives.